What does Abdullah mean, details, origin, short & easy attributes? Abdullah pronunciation in 20 different native languages. Abdullah or Abdallah is the primary transliteration of the Arabic given name, Arabic: Ø¹Ø¨Ø¯ Ø§Ù„Ù„Ù‡â€Žâ€Ž, built from the Arabic words Abd and Allah (Allah itself composed of Al- and Ilah). ... It is one of many Arabic theophoric names, meaning servant of God or God's slave. The feminine counterpart of this name is Amatullah. Abdullah is baby boy name mainly popular in Muslim religion and its main origin is Arabic. Abdullah name meanings is Servant of Allah, Slave of Allah. People search this name as Abdullah, Arisha binte abdullah, Zain abdullah, Abdullah meaning, Abdullah abbas, Abdullah azhar, Abdullah shiri, Abdullahil, Abdullah aizaz, Abdullahi, Abdullah al safi, Abdullah ghanie, Abdullahil baki. Abdullah is written in Urdu, Hindi, Arabic, Bangla as عبدللہ, अब्दुल्लाह, عَبْدُ الله,عبداللہ,عبدلله,عبداﷲ, আব্দুল্লাহ. Other similar sounding names can be Abd, Abd al, Abd al ala, Abd khayr, Abdaal, Abdah, Abdal, Abdallah, Abdan, Abdel, Abdud daar, Abduh, Abdul, Abdul aakhir, Abdul aalee, Abdul adheem, Abdul adl, Abdul afuw, Abdul ahad, Abdul aleem. You probably have google this question: My baby name is Abdullah and how can I combine the name Abdullah with other names and create unique & new name? We tried to suggest Abdullah name combinations. You can see how it looks the name Abdullah as first name or Abdullah as last name. You can combine the middle name for Abdullah and create a unique name. Popular personalities with Abdullah Name. Abdullah II of Jordan is royalty. He holds the title King of Jordan and List of kings of Jordan. His ongoing career started in 1999. 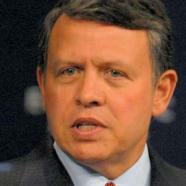 Abdullah was born as the child of Hussein of Jordan and Princess Muna al-Hussein on January 30th, 1962 in Amman. He holds the title King of Saudi Arabia and Custodian of the Two Holy Mosques. His career lasted from 2005 to 2015. 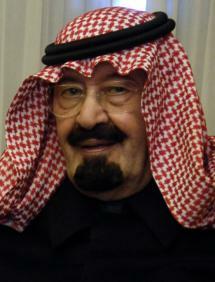 Abdullah was born as the child of Ibn Saud and Fahda bint Asi Al Shuraim on August 1st, 1924 in Riyadh. Abdullah is also known as YYY YYYY YY YYY YYYYYY YY YYYY(Arabic non-titular name). He breathed his last breath on January 23rd, 2015. 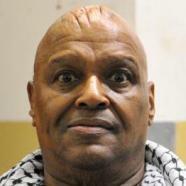 Abdullah the Butcher is a wrestler. Abdullah was born on January 11th, 1941 in Windsor, Ontario. 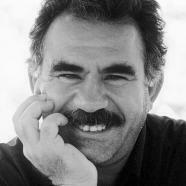 Abdullah Ocalan is a founder and leader of militant organization pkk, political activist, ideologue, writer, kurdistan workers' party, activism, ideology, and founder and leader of militant organizationpkk. Abdullah was born on April 4th, 1949 in Omerli, Halfeti. Abdullah I was royalty. He was most active from 1946 to 1951. Abdullah was born as the child of Hussein bin Ali and Sharif of Mecca in Mecca. He breathed his last breath on July 20th, 1951. 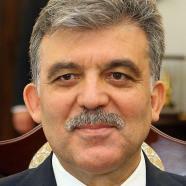 Abdullah Gul is an 11th President of Turkey, Prime Minister of Turkey, Deputy Prime Minister of Turkey, 40th Minister of Foreign Affairs, Minister of State, Member of the Grand National Assembly, and Grand National Assembly of Turkey. Abdullah was born on October 29th, 1950 in Kayseri. Hussein bin Abdullah is royalty. He holds the title Crown Prince of Jordan. 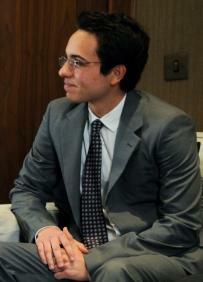 Hussein was born as the child of Abdullah II of Jordan and Queen Rania of Jordan on June 28th, 1994 in Amman. Bruna Abdullah is an actor and actress. Bruna was given the name Bruna Abdallah on October 24th, 1986 in Porto Alegre. Omar Abdullah is a 5th Chief Minister of Jammu, Kashmir, Minister of State for External Affairs, and Ministry of External Affairs (India). Omar was born on March 10th, 1970 in Rochford, Essex, United Kingdom. 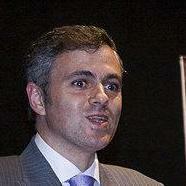 Sheikh Abdullah was a 4th Chief Minister of Jammu, Kashmir, and 2nd Prime Minister of Jammu. 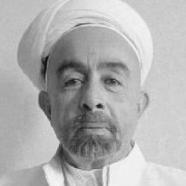 Sheikh was born on December 5th, 1905 in Soura. He passed away on September 8th, 1982. 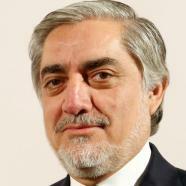 Abdullah Abdullah is a Leader of the National Coalition of Afghanistan, Chief Executive of the Islamic Republic of Afghanistan, Minister of Foreign Affairs, Leader of theNational Coalition of Afghanistan, Chief Executive Officer (Afghanistan), and Ministry of Foreign Affairs (A. Abdullah was born on September 5th, 1960 in KYrte ParwYn. 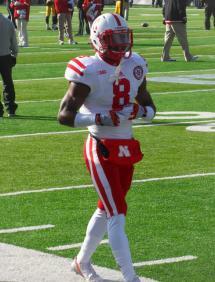 Ameer Abdullah is a football player for the Detroit Lions. Ameer was born on June 13th, 1993 in Homewood, Alabama.